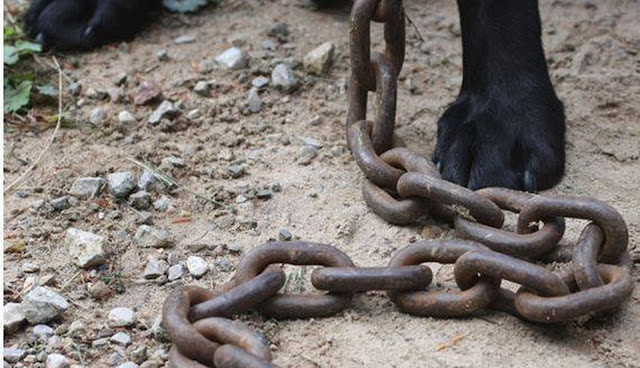 They can no longer be chained, they must not be tethered outside for more than three hours, and they must have protection from the elements. 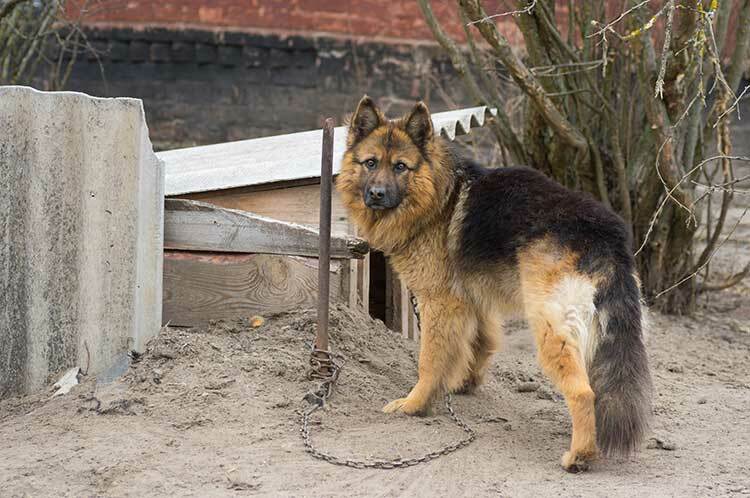 In a city that sees far too many abused dogs, a new ordinance has been passed to provide much greater protection to Detroit dogs who are being neglected outside: they can no longer be chained, they must not be tethered outside for more than three hours, and they must have protection from the elements. This organization has seen dozens of dogs starving, dehydrating, and succumbing to the heat and cold because they’ve been allowed to be left out on chains. These dogs also suffer from the effects of constantly being alone, and C.H.A.I.N.E.D. workers are hoping that the new legislation will decrease the number of neglect cases they see in the Detroit area. The new ordinance states that no dog owner shall: Continuously tether a dog for more than three hours per day. Violators of the law will be fined up to $500, and may have their dog seized after the third offense. The Michigan Anti-Cruelty Society will try to help provide dog houses, fencing, swiveling cables, and no-tip food bowls to people in need. Responses to "Detroit Bans People from Chaining Dogs"
So now instead of chaining them outside where people can see and hopefully intervene when abuse is occurring, POS dog owners will start keeping their dogs in crates inside where nobody will know anything's wrong until it's too late. Let's not save dogs, let's just let them suffer and die in the shadows. WTG Detroit. WTG. I don't expect this to make any difference. Owners will continue to abuse these poor animals. Sad! The majority of these chained dogs are about to be TURNED LOOSE! They won't be wearing tags on their collars, either, so expect euthanasia rates at the city animal control facility to skyrocket... IF animal control officers can find the dogs that will now be in hiding. Oh, and it's *not* considered euthanasia when they've been shot with a gun. Detroit could've and probably should've invested funds in low cost and easily accessible spay & neuter clinics.